While in college, the Hillmans realized God had given them a heart to work with youth. 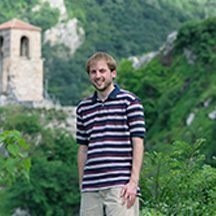 After graduating, the Lord provided the opportunity to take a vision trip and serve as interns in southern Bulgaria. They experienced first-hand how few evangelicals were living and working in this region. 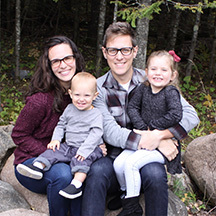 The Hillmans, who had been involved with youth ministry for several years, knew God was combining their experience and passions for equipping emerging leaders for youth ministry. From 2007 to 2009, they lived in Sofia learning Bulgarian while developing a broad base of relationships with youth and church leaders. 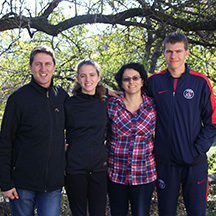 From 2010 to 2016, they lived in Velingrad while serving in the local church as youth leaders. 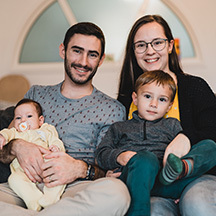 During this time, True Horizons, Josiah Venture’s partner organization in Bulgaria, was founded and discipleship and evangelistic ministry expansion took place in four of Bulgaria’s provinces. Sensing the need for a strategic location for ministry multiplication they relocated in 2017 to Stara Zagora, a central Bulgarian city. 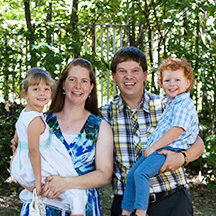 They serve full-time as JV Bulgaria’s country leaders and locally through their church. The Hillmans have four children, all of whom were born in Bulgaria and study in Bulgarian schools. They eagerly expect to witness a national movement of youth leading youth to Christ. You can write to Gabriel & Melissa Hillman directly from this page.